I recently had the pleasure of reading Patrick Heron's book The Nephilim and the Pyramid of the Apocalypse. After reading the first chapter, I found this book difficult to put down. For several consecutive nights, I traded sleep for a few more paragraphs. The overall theme of the book addresses the end times prophecies of the bible, while providing some interesting eschatological insights that will be new for most individuals. Using historical, archaeological, and astrological evidence to support his arguments, Heron opens the door to a plethora of topics rarely addressed by biblical teachers. For instance, the Book of Job clearly states that God created the constellations of the Zodiac, but little information on this subject can be found on the Internet. I know from firsthand experience. Several months before I read this book, I searched in vain for the information found within this book. In Chapter 8, "Star Witness," the author provides a great deal of information on this topic, written in easy to understand layman's terms. And there appeared a great wonder in heaven: a woman clothed with the sun and the moon under her feet, and upon her head a crown of twelve stars. And she, being with child, cried, travailing in birth, and pained to be delivered. ...The Magi observed all of these unusual stellar displays and, because they were well aware of the prophecies concerning the coming seed of the virgin, they knew this to be the promised Messiah, the King of the Jews." Although a good part of the book expresses conjecture rather than established fact, the same can be said for the theories of almost every noted historian and archeologist. In this book, Heron sheds light on the role of the Nephilim (fallen angels) in the end times as well as tackling a number of complimentary subjects. Overall, it's one of the best books I've read all year. 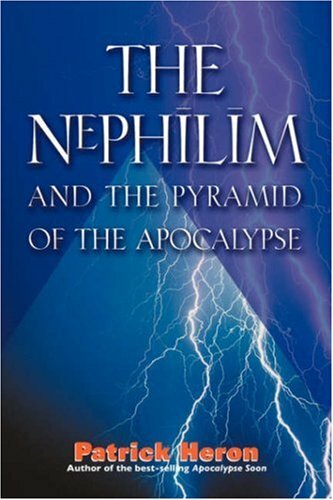 If you're searching for a last minute gift for a friend or relative, I could recommend few books as good as The Nephilim and the Pyramid of the Apocalypse.